This is the Team Associated Factory Team Hex Driver Set. 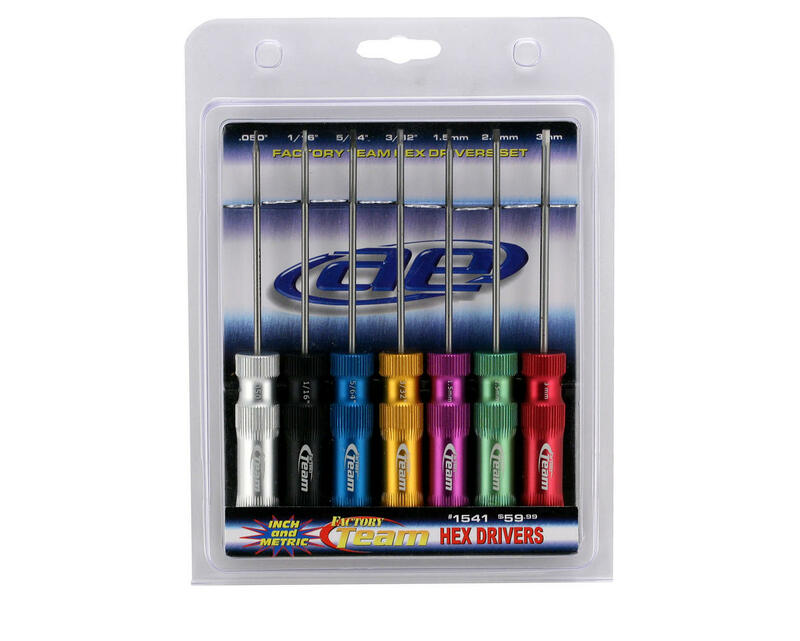 This hex driver set features replaceable steel shafts are secured to the handle with a set screw. 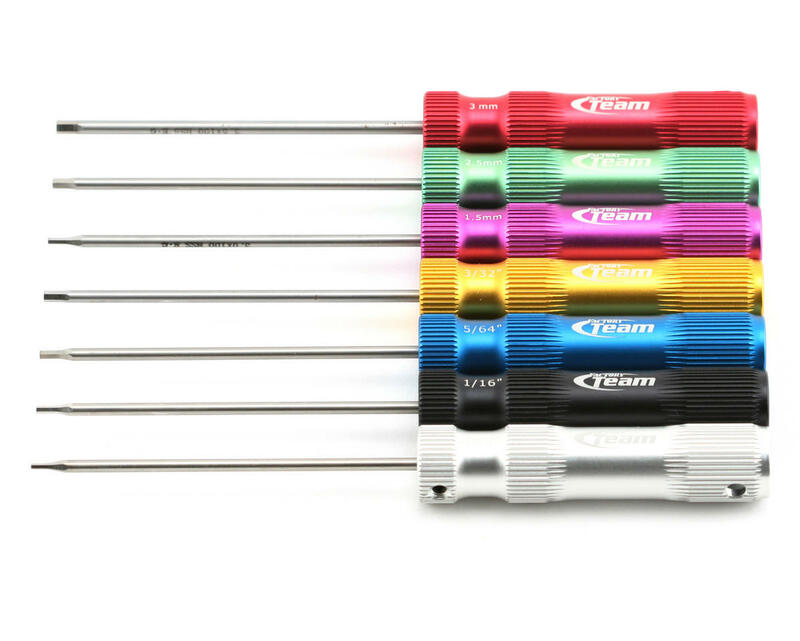 Gun drilled aluminum handles are knurled for gripping power and each handle is color coded and marked with the size of the hex, and the Associated Factory Team logo adorns each handle. I got this tool set today @ Outback Raceway aka a main hobbies track and I must say it was a very nice set and worked well with my AE SC 10. I have been using these for a few years now and they are good quality for the money. The 2mm, 1.5mm and 1/16" tips did eventually round off on me so I replaced them with the HUDY replacement tips. These are a good set of allens to get started with and I don't think there is another set out there that is better than these for the money. All good but the black 1/16 is a little weak and gets tweaked easy. They do look nice and are light weight with comfortable handles but, they are not very strong. The 1/16" rounded out within just a few weeks. I am now back to using the no name brand hex drivers that I have had for several years now. I expected better quality.